We are thrilled to have you on board for the My 15 Minutes program – we hope you’re as excited about it as we are and we can't wait to get started on encouraging achievable slices of progress, each day, every day, for 90 days 'til we're done! Although you can join us at any time, you actually start accessing the full program on the first Monday after you have registered. As the program is designed to align with days of the week (i.e. Day 1 is a Monday), we find it is much easier for our members when they start the program on a Monday. You won’t have to wait though, we've got details below of a Pre-program Pack to get you started with some introductory activities. This kit is designed to get you in the mood for getting things done. The pre-learning pack is bulging with optional tools and tips to set you up for maximum success with the program. As your program progresses, this is where you can go to find all of the daily activities and resources. Each day's 15-minute task will be emailed to you as well as being accessible on the Member Hub site, for your convenience. As we go through the 90 days of the program, new materials will be added to your package (videos, MP3 recordings, checklists, reading lists, bonus resources etc). On Monday morning, you'll be sent an email with details to create an account on the Member Hub. Until the full website is available to you on Monday, we have created a download page for you to access all of the Pre-program Starter Pack materials. Here's a quick video to help you make the most of your program. Did you purchase the VIP Interview Package upgrade? We will email you within the next 24 hours with your log in details for downloading your VIP Interview Package. You can access all of the MP3 recordings and the Insights and Actions Guide from a private website. You're going to love the interviews with these 24 amazing women! Please let us know if you need any help with getting started - we will be happy to answer any of your questions. 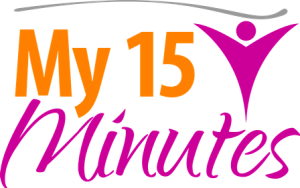 You can drop us a line at support@my15minutes.com.au and we'll get back to you within 24 hours.